Take 2 drops one to three times daily or as recommended by your health-care practitioner. Invert bottle to dispense individual drops. May be added to food or mixed in beverages. 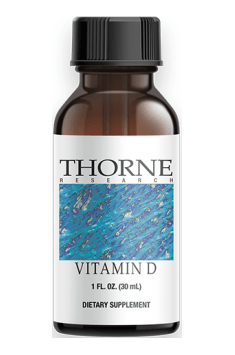 Before starting the supplementation with vitamin D3, it is suggested to make tests of its metabolitem, 25(OH)D.
In case of deficiencies (<50 nmol/l), the optimal dose amounts for 10–15 drops daily (5,000–7,500 IU). In case of a result of 50–80 nmol/l (and in people without blood test results), the recommended dose amounts for about 2,000 IU (4 drops), and in case of higher values, it will be enough to take 2 drops (1,000 IU) a day. What is important, as the active substance has been already solved in coconut oil, there is no need to apply the drops with fatty food.